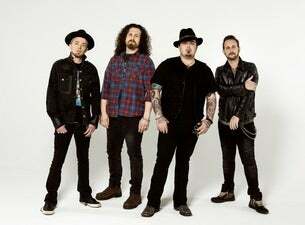 Black Stone Cherry was founded in 2001 by guitarist and lead vocalist Chris Robertson and John Fred Young, drummer and backing vocalist, who were long-time friends. Joining forces with Ben Wells on rhythm and lead guitars and Jon Lawhon on bass guitar, the band started out by playing gigs in their local town of Edmonton, Kentucky. Black Stone Cherry released their first eponymously titled album in 2006. Their follow-up album, Folklore and Superstition, reached No. 1 in the UK album charts. The Family is the title of their latest album, which was released in early 2018.